Iron Made Black Finish Oil Camping Lantern exclusively available from Interio Crafts.Happy Shopping at Interio Crafts. 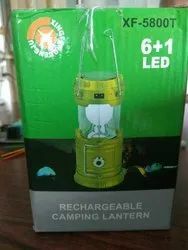 We are engaged in offering a huge assortment of Camping Lantern (Item Code: 01020030). These are available in powder coating finish and are made from finest quality iron. We offer these lanterns in standard size measuring 33X18X15 cms. These lanterns are widely appreciated for their trendy designs, durability and stylish looks. Take pleasure in the pure and Camping Lantern splendor of garden in dusk and night time with garden lanterns that swell the fabulous charm of garden and create a rhythmic feel. The main features of these locks are it is eye-catchy, stylish and alluring appearance. These lanterns are much preferred for domestic purpose and also in offices. Leveraging the skills of our qualified team of professionals, we are instrumental in offering a wide range of Rechargeable LED Camping Lantern.